Diego & Frida; A Mexicana Photo Shoot! I am stoked that I can finally reveal and share our Mexicana photo shoot. Today’s post is rather a long one and absolutely packed to the rafters full of lovely imagery, so I suggest you grab yourself a cuppa or a nice G&T and settle down for a blog feast. Not long after launching Frog & Pencil, whilst at my first wedding fair, I was approached by the wonderful whirlwind that is Janie from Bigphatphotos. It was all a bit of a flurry but I managed to grasp that she had these brilliant plans for a Mexican, Frida Kahlo styled photo shoot, that was going to be big, bold, colourful and on an alpaca farm. She’d seen my work online and thought my stationery would be perfect and would I be interested in collaborating? Hell. Yes! Later that month at A Most Curious Wedding Fair, I met two other collaborators who were also the fellow visionaries. The Cake Lady, Emma from Buns of Fun and The Florist, Sharon from Flower30. After seeing their gorgeous stalls, I was super excited to be working with these three amazing and creative women. I’ll be honest, being new and never having collaborated before I was bloody nervous. So much talent was within this team and I didn’t want to let anyone down. To ease those nerves I met with Janie one morning to talk about the shoot and a few hours later I came away full of inspiration. I realised there really wasn’t any brief or any rules for me, it was simply an opportunity to showcase my work within a theme; so no need to worry. We shared a Pinterest board that was jam-packed with ideas and I decided that this would be an ideal time to create my first stationery collection which would feature alpacas; from that moment Diego and Frida were born. I wanted my designs to be colourful, luscious with flora and fauna and have elements of tribal detailing. Overall, the pieces consisted of a Save our Date, Invitation, Map and an RSVP. Additionally, I made ‘on the day’ stationery too which included a Table Plan, Name Cards, Table Numbers and a Menu. Everything is cohesive but not repetitive and I’m very happy with the final results. I especially LOVE my alpaca characters, the Bride & Groom are gorgeous…they really are the heart and soul of this collection. Before I knew it, the day of the shoot arrived. I awoke to beautiful weather and was buzzed to get going. I picked up our lovely models Amy & Jake and together we travelled to College Farm. On arrival the models headed off to hair & makeup and I made myself useful by helping to build a beautiful tipi. We decorated it with crepe paper streamers and flowers in hot colours and above it, we constructed a curtain with what felt like millions of hanging ribbons. It was looking pretty, I couldn’t wait to get shooting. With the tipi ready we moved onto setting up the table-scape. This was placed in such a special location. Within the grounds there is a long natural grassy aisle that sits through the middle of a large watery pond. A stunning spot for a wedding breakfast. Everyone brought along ‘bits and bobs’ that had a Mexican vibe and I was staggered at how well the pieces matched. My big lesson from the shoot is that styling is actually pretty hard! You can be super creative but you certainly need a good eye to make a space come to life. I revelled in watching how it all came together and took lots of mental notes for the future. Shooting began and everything revolved around these two main locations. Janie & Dave were our ace photographers and they were particularly entertaining to watch; I believe their differing skills brought out the best of each other. I especially enjoyed seeing how they work and organise their shots. The models looked great and I fell head over heels for all the floral detailing. I had serious crown envy and was crushing hard on the blooms!!! The nails too were a lovely touch, in particular Jake’s; Laura did a great job of keeping the masculinity on point. The little star of the day had to be our flower girl model, Savannah. She totally rocked the pom poms while echoing a mini Frida Kahlo; adorable! Alongside the main model shots, Janie & Dave captured the details too. As I’ve mentioned, Sharon’s flowers were incredible and super tropical. She is one talented florist, I never knew you could be so inventive with flowers. Emma’s cakes looked stunning. She arrived with 5 iced cakes and then the decorating took place within the kitchen of College Farm. She is a wizard! It was such fun to watch her transform the sponges into modern designs with a Mexicana twist. They also tasted delicious…a nice little perk of the day! The Horse Box came along and pitched up in the grounds and I think they fitted in brilliantly with the theme of the shoot. A second perk, we were able to eat everything they made and holy moly it’s gooooooood! I’m still drooling over their seared skirt steak flatbread with their zingy fresh sides; I can’t wait to find them at another local event and indulge some more! Finally, not forgetting my stationery! I had a range of shots within the tipi, settled upon one of the bouquets which I thought looked splendid, the flowers complimented my work well. Alongside that, Dave snapped a few close-ups with an exotic bird of paradise which also enhanced my designs happily. I think my favourite shots though are those on the table-scape. The menu and name cards blended in perfectly and I think everything within that setting looked sumptuous! Ok, ok, I hear you! I promised a plethora of imagery, so I’ll pipe down now and let you enjoy these galleries so you can see for yourselves what an epic day we all had. Mexicana Photoshoot Behind the Scenes Styling props. Finally, a handful of my favourite shots from the day, again all of these are credited to Bigphatphotos. Wowzers! Aren’t they just brilliant! I was honoured to be a part of this collaboration and I had a tremendous time. Everyone was so friendly and I was made to feel really welcomed by all. I should also mention our gracious host Katharine of College Farm, she was just fantastic; thank you for having us. Your home is a delight, perfect for a wedding and if the grounds don’t swing it for potential couples then Brian the alpaca most certainly will; what a charmer! An extra huge thank you goes to the brains behind this experience, Janie. I truly appreciate you bringing me aboard this brilliantly bonkers ship, I loved every moment and congratulations on your beautiful shoot! Big news! 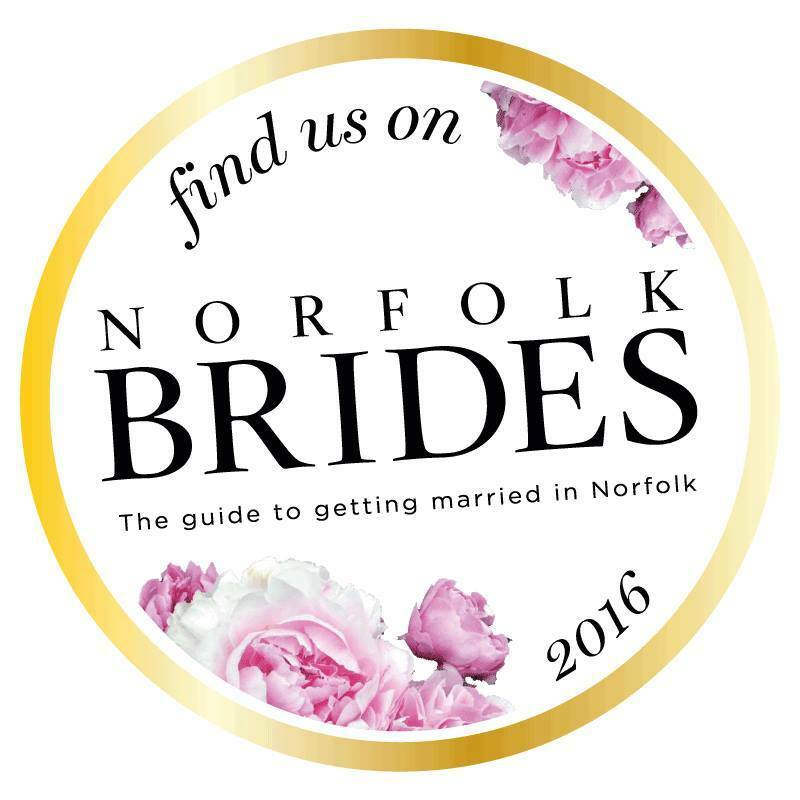 We made it into County Wedding Magazines ‘Your East Anglian Wedding’ with a glossy three page spread and we even snagged the front page (gooo Janie)! Frog & Pencil also had a fab little mention in the Brides Bulletin page under the ‘Editor Loves’ section which was just lovely. You can pick yourself up a copy online or locally in WHSmith. Bigphatphotos: Janie & Dave are a fab duo and as you can see from above are damn talented. If you’re looking for a wedding photographer give these guys a look. Buns of Fun: Emma is awesome and a total whiz when it comes to beautiful bakes. Give her a call if you’re in need of a cake, you won’t be disappointed. Flower30: Sharon is lovely and a genius when it comes to flowers. Be it traditional or a chic modern arrangement, she’s your florist! College Farm: Beautiful venue for a wedding and it’s a place where you can truly make it yours. Give Katharine a call, she’d love to hear from you. The Horse Box: Georgia & Steve whip up some of the tastiest street food I’ve sampled in years. A great, fresh alternative for you wedding or special occasion…I hear that their sausage rolls are legendary! The Beauty Hobo: Laura was our nail artist and they looked stylish and current. Give her a call to give your fingers and toes a fancy treat! Lanoi Makeup Artist: Lanoi did an incredible job with the make up on this shoot, the models look was tribal but contemporary! Looking for a make over, Lanoi’s your gal! Arcadia Hairdressers Norwich: Hannah transformed our models hair for this shoot and in particular did a great job with our little Frida. Contact her about your wedding hair today! Elle Harris: Elle was the styling assistant on the shoot and she helped created a modern mexican look. If you’re looking for some styling advice (or a model), give her a call. Models: Amy Bevan & Jakey Richardson – these two were lovely and really professional. It was a long day for everyone but they kept up their energy and enabled Bigphatphotos to capture loads of amazing shots. If you’re in need of a model, check them out. Overall, what an incredible experience and amazing exposure for Frog & Pencil, it’s a day I’ll always treasure. I do hope to be part of another collaboration again in the near future and learn more from other talented folk. A final note before I part. I am truly encouraged to see so many successful, creative and entrepreneurial women locally in this industry. It was a pleasure to work alongside you and amazing to study from you. In an environment that could be catty and competitive, these women ooze support, inspiration and love; you gals are awesome. Deep from my Froggy heart, gracias you beautiful GirlBosses! Last Sunday Frog & Pencil exhibited for the first time over in beautiful Suffolk. We met lovely Donna at A Most Curious Wedding Fair and she invited me to show my illustrative stationery wares at the Truly Vintage Wedding Fair at Glemham Hall. I find it rather difficult choosing between wedding fairs as I feel F&P needs to find the right audience. So far, from the two I’ve been a part of, only one couple have been in touch (who are awesome btw) and I’m so happy that they’ve hired me. You do need to invest quite a lot of money into a wedding fair and as this is my first year it’s all trial and error…so much is a gamble. However, I decided to bite the bullet and 1) try a new County, 2) see what a summer crowd is like. My glamorous, hairy assistant joined me and we rocked up to Glemham early Sunday morning to set up. When we arrived, we were greeted by the chickens and a peacock…I knew then that this was going to be a fun day! Glemham is just gorgeous and the grounds are incredible…if you’re looking for a wedding venue, certainly give them a look, you won’t be disappointed. It’s been a few months since my last fair but we were quick to put our stall together and it was such a great feeling to see new work on display and how it’s all evolving. Definitely pretty proud of what I’ve achieved so far. Once again, I was super lucky with my friendly neighbours, Hopes & Dreams Wedding & Event Dressing and Events Under Canvas. In all, there were around 30 exhibitors set up in a large and pretty marquee; it was light, airy and spacious, perfect for showcasing my wedding stationery. 10am arrived and the queue of couples drifted in with their family and friends. We spoke to many lovely people, mostly those who have just started their wedding planning process. I relish talking with people about their plans, it’s such an exciting time, you can literally do anything you want! The sunshine made an appearance and the weather was simply delightful. I did find though that quite a few times we had a lull in ‘foot traffic’ which I feel was brought on by the weather; who wouldn’t want to be outside…I was a smidge jealous. Check out my snaps from the Truly Vintage Wedding Fair 2016. I like to share the love after attending these fairs, so here are a handful of suppliers you should check out! Hopes & Dreams Wedding & Event Dressing: Lorraine is brilliant and it was ace being her neighbour on the day. She specialises in styling your big day and hiring out items. Her stall was a treasure trove of loveliness, she has something for everyone…if I had a bigger car or a van, I would have snagged her gorgeous dresser! Loads of people were buzzing around her stall, so get in touch to hire those goodies! Events Under Canvas: Oh snap! These guys hire out giant tipis for all events and they are amazeballs! A great alternative to your traditional marquee and there is no end to how you can style them up to looks gorgeous! Another popular stall and also super friendly; give them a bell and don’t miss out…I have a feeling they have one full diary! Wisheart Tiara Design: Jacqui came on over to say hello right away which made us feel really welcome. This is one talented lady; she creates beautiful tiaras, combs and wedding hair pieces which are all bespoke. With so many styles to choose from, one of these vintage accessories will be a stunning way to finish off your bridal look. Myrtle & Mint: This florist’s stall was gorgeous with an incredible colour palette. There was a lovely country garden feel to her stall, so if you’re looking for flowers with a relaxed flair, pop into her shop to say hello! A big thank you to Donna and the Truly Vintage guys for having us, we had a great day! 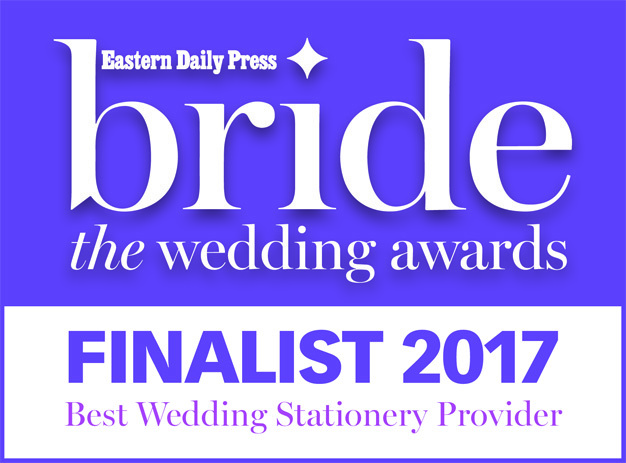 We’re also keeping our fingers crossed to hear back from you lovely couples…you can always hop over to www.frogandpencil.com to discover more. Things have been a bit quiet on the blog recently, lots of projects I’ve been a part of or working on are under wraps right now but soon I can divulge all. I have a few posts up my sleeve so keep your eyes peeled! Until next time you lovely bunch!